How much is Elisabeth Moss Worth? Elisabeth Moss net worth and salary: Elisabeth Moss is an American actress who has a net worth of $14 million. She first became internationally well-known for her on-screen role of Peggy Olson in the hit AMC series Mad Men, which ran from 2007 – 2015. Moss appeared in 88 of Mad Men's 92 total episodes. She is also known for playing Zoey Bartlet, on NBC's The West Wing which ran from 1999 – 2006. Today Elisabeth is probably best known for her starring role on the Hulu drama The Handmaid's Tale which began airing in 2017. Elisabeth Moss was born on July 24, 1982 in Los Angeles. Her parents were musicians. She got her on-screen start as a child actress, before making the jump to full time work as an adult. Moss has also made multiple appearances on Broadway. In 2008 she debuted on stage as Karen in the 20th anniversary revival of Speed-the-Plow. She practices scientology, and is known for regularly speaking about the religion and working toward its support. 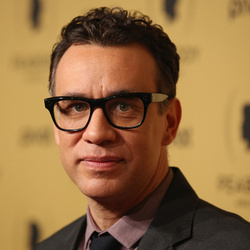 In 2009, she married fellow actor and comedian Fred Armisen, who she met in fall of 2008. However, the pair separated just eight months later, and Moss filed for divorce in 2010 September of that year, and their paperwork was finalized in 2011. She has won dozens of awards for her work, including two Emmy's for her role on The Handmaid's Tale. She also won two SAG Awards for her role on Mad Men. 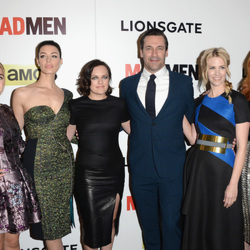 What was Elisabeth Moss salary per episode on Mad Men? At her peak of the series, she was earning $75,000 per episode. For the first year of The Handmaid's Tale she earned $175,000 per episode. She now earns $1 million per episode.